One Saturday I was introduced to making beads with polyclay by a sub-group of the beading group. I’m hooked! One of the participants gave me a piece of a cane she had previously made and that was added to the ‘beads’ that I was working on. 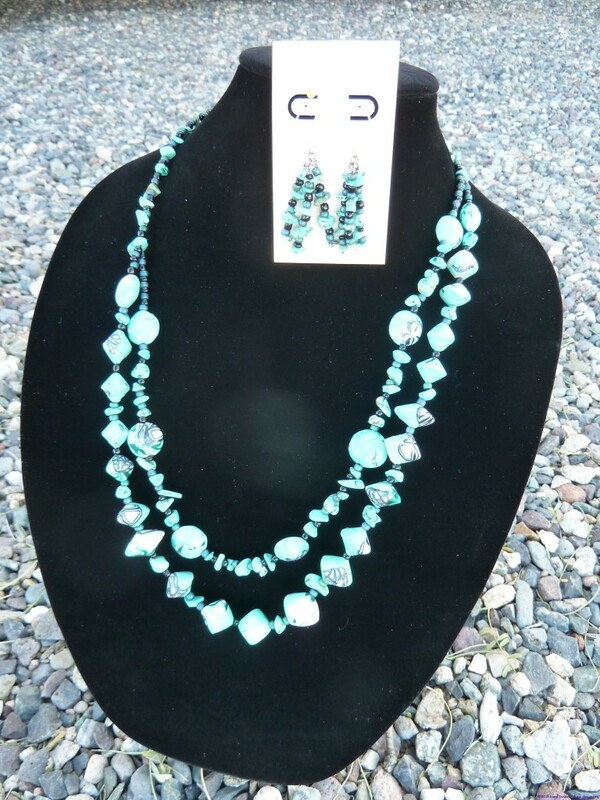 I liked the effect so much that I went home and added some turquoise chips to make this necklace and earring set. Approximately 28″ or 71 cm plus closure.